traced out through the universe from the beginning of time. is the knowing of God. How knowledge permeates within human being is mysterious. That is why there are many different perspectives towards this phenomena. Even secular scientists find it endlessly fascinating to study how babies learn and all the complex mechanism that are in play. From spiritual and philosophical perspective, some say, we already have all the knowledge, all we need is to remember. Another view point tells us that true knowledge is bestowed by God's grace alone and we only have to be open to receive it, no human effort can access that knowledge on their lone effort. The other view point categorizes knowledge and tells us that there are certain knowledge which can be acquired and the other kind is received from heart to heart, from people of gnosis and also from above. All of these point of view may carry truth in different proportion, God knows the best. From the world in which we live in we can observe that a child even before intellectually understanding his or her relationship with the Mother / to comprehend who really the Mother is in relation to her, at certain point in time at a quite early stage she starts to call the Mother. And there is also a recognition that goes on between the infant and Mother through which if the impression of the Mother's face is missing, if her presence is missing from the child, the child start to cry on her own and it is only through the presence, the voice and reflection of the face that the child becomes tranquil and peaceful again. This communication is not unique to human beings, we see this across the animal kingdom as well. The calling of the Mother by a child is a Sign that can be considered as a pointer for understanding of the practice of remembrance which is known as Zecher in Hebrew and Dhikr in Arabic and Zikr in Persian and Urdu. Just as the calling of Mother precedes even intellectual comprehension of relationship of the child with her mother, similarly the remembrance of the Name of God is the beginning of deepening the relation and this precedes knowing about God. Rumi says, "Listen to the moan of the Dog at the departure of his master. That moan is the connection." Many people have this idea that they can know God. This is like a fish thinking that he can know about the entire ocean and the universe. "They can encompass nothing of His knowledge except what He wills," and all the collective knowledge of humanity from the dawn of history till the Final Hour is less than a drop in comparison to the Knowledge about God, of God. Thus the presumption that limited human mind and even more limited human knowledge can know about God and comprehend that knowledge is a false illusion. No matter how much sophistication humanity arrive collectively at, we remain, in the eyes of God, like infant child. Just as for the child who is taught how to call the Mother upon whom she utterly depends, humanity is also taught by God by the transmission of divine knowledge through many Messengers to call Him by His Beautiful Names. This is a knowledge which is Universal. The ancient religious paths which survived also carry the same spiritual practice. The Sanatana Dharma or Hindu Path has the practice called Nama Japa which literally means, Recitation of Divine Names. The Hebrew Path also has divinely revealed 72 names of God. Jesus is known to have called upon special Names of the Divine for activating Healing such as the Divine Name of The Ever Living, the Light and the Opener (Ephphatha). Following the same footstep in Islam the cosmic unveiling of Divine Names continue and such Divine Names are called the Beautiful Names / Asmaul Husna which traditionally are 99 in number encapsulating the primary attributes of God. All the spiritual practices of Islam revolves around remembrance of God. The most frequent Sadhana or Spiritual Practice of Islam is Salaat or Daily Prayer, about which the Quran says, Establish Salaat for the purpose of Divine Remembrance. Salaat literally means connection, thus the central reason to establish Divinely connection is to Remember God. Similarly for every other practice the central activity is calling God by His Beautiful Names which are revealer of His Attributes or the Gnosis and thus Remembrance of Him. The Mystics of Islam or the Sufis heavily immerse themselves in Dhikr or Zikr because it is the Most Exalted of Practices which involves the Name as well as the Remembrance. The Quran declares, "Dhikr of Allah is the Greatest" (Dhikrullahi akbar). Since Mystics bring both the inner and the outer together, thus the external activities are imbued with their inner realities and for every single practice the inner reality or haqiqa is Dhikr, is Remembrance. 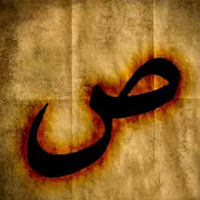 Khalid M. Malik Ghouri, a contemporary Sufi Teacher and writer has a very beneficial book on the Beautiful Names of Allah, called Saad and the Reminder. The Book not only introduces the Divine Names of God, each of which are portal to Divine Gnosis but also their significance and associated Meditation, Abjad or Arabic Sacred Numerology of each of the Beautiful Names. This book has been written in such a way that it will guide the seeker to Allah. Normally the 99 Attributes of Allah start with the personal Name, Allah, which is the Ism Zaat, and finish on the ninety-ninth Attribute, As Saboor – The Patient One. In this book we are trying to get back to Allah, therefore the book starts from Allah’s Attribute, As Saboor, and finishes at the Ism Zaat, personal Name, Allah. For those who already ‘know’ Allah, they can read this book from the right (or from back to front in case of E-book) as in Arabic, Urdu or Persian. That is they can start with the Ism Zaat, Allah, and finish on Allah’s Attribute As Saboor. Those who are seeking Allah can start from the left as in the Latin languages from Allah’s Attribute As Saboor and finish at the Ism Zaat, Allah.No matter which direction the reader approaches this book, each one shall find something of interest to him or her, Inshaa Allah. May Allah preserve the author and open the door of benefit for us. Divine Benediction and Salutation to the Final Messenger. You may also download another of his book called, Meem wa Salaat (Meem and the Prayer) from this site.